"How to use Linux" --According to Google Trends, a lot of people have been using this phrase to get information on learning how to use Linux. And since Ubuntu is the most popular Linux distro at the moment, there are also tons of search queries for the phrase "How to use Ubuntu". Because of this, I decided to write my own simplified "how to" for those who are already in the right mood to finally try Linux. I hope this will help make the journey a whole lot smoother. Step 1: Learn more about Linux. A good way to start would be to read this brief but informative Wikipedia article on Linux. You will know a few Linux terminologies that will surely be useful later on. Step 2: Pick a Linux Distro. Head over to Distrowatch.com to choose from over a hundred Linux distributions. But for now, I would highly recommend to just get Ubuntu because it's really ideal for Linux newbies. --It's been known for its reliability and ease-of-use. You can download the latest version of Ubuntu Desktop Edition HERE. Step 3: Learn more about Ubuntu. While waiting for the download to finish, you may want to learn a few things about Ubuntu by reading this documentation page. In there you will find plenty of essential information such as installation instructions, migrating data into Ubuntu, dual booting, and more. You may also want to join Ubuntu forums. The kind and dynamic community members there will be happy to help you if ever you need some technical support. After a successful installation, you may have to to install proprietary driver for your graphics/video card. If your graphics card is supported, setting it up will be a breeze. If you have installed Ubuntu on a laptop, then it’s possible that you will encounter several hardware compatibility problems. But, if there’s a will, there’s a way to fix those issues. A little tip: Ubuntu forums and Google are your best friends. You may also need to install some restricted codecs for multimedia, Flash, Java, and DVD support. --A simple “after-installation” tutorial can be found HERE, and a more complete Ubuntu guide can be found HERE. Step 5: Stay hungry. Stay foolish. I know I just borrowed that quote from Steve Jobs, but this should be your way of thinking if you want to become a more productive Linux user, or even become a Linux guru. --Try other Linux distros, use different desktop environments and X window managers, explore and install other Free and Open-source software, and overcome the fear of Linux CLI. However, you can stop at step #4 and still enjoy the many benefits of using Linux. The road to Linuxville can be bumpy at times, but once you arrive, it’s going to be rewarding. If you have any questions, comments, or suggestions, feel free to share it with us. why always ubuntu ? there are another very good and user-friendly distributions. for example : mandriva, pardus,...and why not debian ! or slackware ! Poor. it's "how to use ubuntu" article and not "how to use linux". Why alawys ubuntu? Beacuse it's very well known, very ease to use for that 99% that use windows. That is what they are looking for, a "ready to use" distro. Let's face it, is the best for this category of new Linux users. P.S. I'm not a Ubuntu fan (I use Arch) but I recommend it to new users who just wanna use linux, and nothing more. There are several better choices for noobs. How about PCLinuxOS, Mint, OpenSuse, Fedora and Mandrive are better choices. Mint is just a derivative of Ubuntu, so like nongeek said Ubuntu is one of the best distros built for a new linux user. There are others but does it really matter about which one is suggested? 1) it should prompt the user to enter the path of the folder. After reading your post, I got idea for how to install linux os in 5 easy steps. 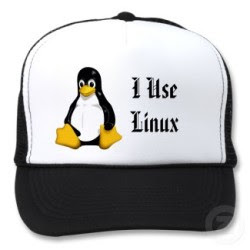 Thanks for sharing such an admirable information among the users who uses the Linux OS. Keep it up.